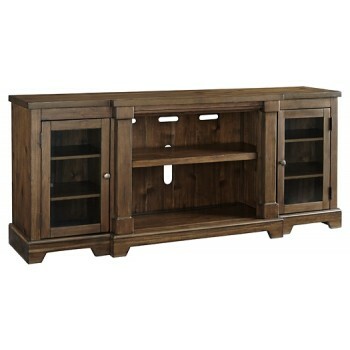 Sporting a clean-lined, hearty profile and complex chestnut-tone finish, this TV stand with optional fireplace brings home a richly rustic style that’s warm and welcoming. Its large-scale design easily accommodates a 75" TV. If you really want to turn on the romance, opt for the optional electric fireplace insert (sold separately).